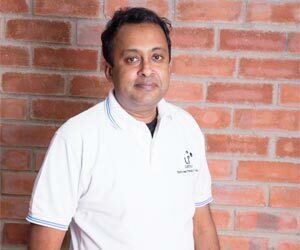 Mr. Sanjay Krishnan founded Lithium Urban Technologies Pvt. Ltd. in January 2014 with a vision of reducing vehicular pollution and bringing harmony to the environment. He has an illustrious career of more than 20 years, wherein he has consistently initiated, sustained and delivered value and innovations. He holds a Bachelor’s Degree in Electrical and Electronics Engineering from the University of Mumbai and has worked with Honeywell, Mosaic Capital Services and Ispat Industries.investments include Furlenco, Droom, Melorra, Embibe and Faasos. Sanjay’s broad spectrum of experience includes expertise in managing international businesses spread across 4 countries by initiating growth in diverse geographies, verticals and product categories. He has remarkable leadership skills in managing overall operational system that includes setting up, managing and enhancing operations and teams from across different locations, skills, gender, work culture and experience.